Home / Columnists/ Can a leopard change its spots? There are two leopards growling at each other. The voting public has to choose one or the other. To the thinking discerning public it is a challenging, stressful, time. Their future, their children’s future and the future of all the citizens depends on how Sri Lanka will be governed. To whom should the voting public give the baton to conduct the social and economic affairs of Sri Lanka? This decision cannot be based on the slogans of politicians or the drum thumping rhetoric which is all noise and no sense. There are two types of voters. Those that take their responsibility seriously and consider the options carefully and then cast their votes. There are others who make a choice that is more impulse than careful consideration. They are swayed by emotion rather than by logic. This is a challenge the thinking voters should not ignore. They must endeavour to get the message across that it is necessary to think carefully before you vote. Respected leaders in the community like the clergy should drive home the message of “think carefully before you vote”. The essence of what people want will not vary in different societies. The details and particular issues that need to be addressed would vary from country to country, but there will be a large commonality in what people want from their elected political leaders. They will want a country where there is law and order, an independent judiciary, freedom from corruption and a society where all the different socio-ethnic economic groups live together in harmony. On the economic front they will want a profile of good sustainable growth that is inclusive that ensures that all segments of society benefit from economic growth. The UPFA have been governing during the two terms of MR’s stewardship. The discerning voter will want to measure performance against what constitutes good governance. We are what I call a tittle tattle gossiping society. We chat with anybody and everybody. Most of it is about politics, politicians, examples of corruption, and the cost of living. This is social media without the internet! Views are exchanged and ideas formed on a continuous basis. Through this process, there is common consent that law and order has been deteriorating. People are aware and share news about the corruption in the area where they live. They talk about the bribery required to get various things done. They also relate stories about politicians who had modest means who have progressively become richer and are manifesting this wealth. They also talk about some criminals who are never charged or if charged are discharged by the courts. The people do not need police prosecution units to tell them these things. They know. And they tittle tattle about them all the time. The UPFA government does not score well, on law and order, independence of the Judiciary and corruption, and the wealth acquired by politicians. Issues that relate to fundamental economics do not come within the compass of tittle tattle, but in a simplistic way some these issues will surface. The benefits of the costly highway will be discussed. They may ponder whether it would have been better if the local roads and the tank was restored. Large loans taken by the Government will be a worry. The educated middle class will make a more thorough evaluation. The problem with the economic scenario is that there has been so much spin from the two spin doctors that it is difficult to sift fact from fiction. There has been economic growth but a large part is due to government expenditure on infrastructure projects financed by loans. What is the growth excluding this? This has not been divulged. There has been a lot of fanfare about being in touching distance of becoming a middle income country. The question has been asked many times but it has never been divulged. What percentage by district will be above middle income levels and what percentage below? Is this to conceal the fact that there is no inclusive growth? Great prosperity in the Western Province and not much elsewhere? Even a half-baked economist will tell you that every project should generate an output that will result in the cost of the project being recovered in a reasonable period of time. No project reports have been published for the major infrastructure project. Perhaps as there is no payback on these projects. There is also the nagging concern about China’s influence and of China’s role in infrastructure projects. It is important to China to protect the Silk Route for oil to China. Sri Lanka because of its location is a jewel in the silk route. Were the powers in Sri Lanka persuaded by China to build a port, an airport, and to build a highway from Matara to Hambantota all to further their interests of protecting the Silk Route? It has an advantage and a disadvantage all rolled into one. They have not been in power for a long time. They had a brief period, during CBK’s second term. The post presidential election 100 days was not an UNP government. It was more one of delivering the new President’s election promises. So it is not possible to judge the UNP on past performance. They can neither be praised nor criticised. However, some traits of behaviour can be identified. During their period in power when CKB was President, one of their main activities was to humiliate CBK. They could not work in partnership with the President. In the end she had enough and dissolved Parliament and went to the polls and defeated the UNP. It was the UNP’s inability to work in a collaborative spirit that lead to their defeat. The same tendency was seen when they could not work well together with the majority SLFP in the post presidential election period. Like grass does not grow under large trees, strong leaders do not seem to emerge under RW’s leadership. There is an image of a man who believes he knows everything, and does not see the need to enrich one’s thinking by getting the support and thoughts of others. UPFA: The UPFA will have to project a new image, to counter the image with many negatives they acquired during the long period in power. Is that possible with the same team that acquired the bad reputation? 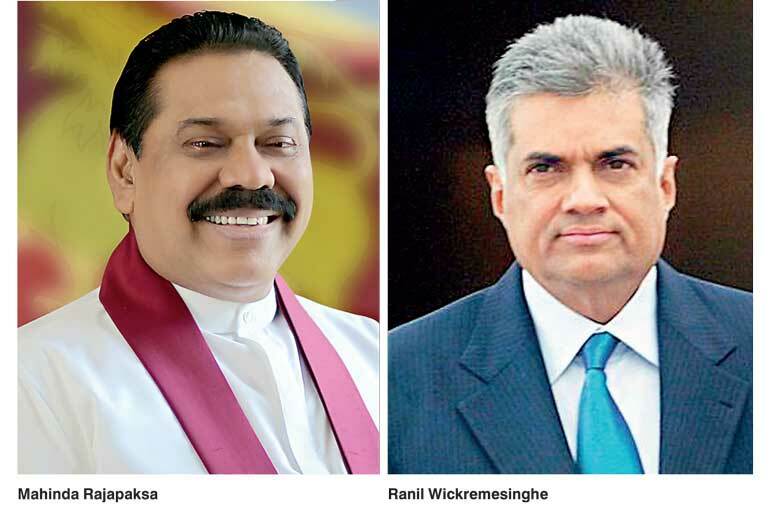 After the defeat at the presidential election, has MR metamorphosed into a new being, no longer concerned solely with staying in power and now concerned solely about the welfare of the people of Sri Lanka? Will the people believe that the leopard can change its spots? UNP: The UNP does not have the problem of having to change what they did in the past. It has the formidable task and challenge of presenting a credible plan and strategy for the future. This must encompass the values in society and economic strategies that will l improve the wellbeing of everybody. The people are getting tired of elections. The mudslinging is no longer interesting. They are also getting tired of the ‘us and they’ syndrome. The electorate will place value on the ‘we together; concept, as the best way forward to secure the wellbeing of Sri Lanka. There is an impatient younger generation that will like to kick party politics into the bin and seek broad collaboration to solve our problems and to develop the strategies of growth. The real test for the UNP is in this context. Will they believe that there will be a different style of leadership in the future? Will the people believe that the leopard can acquire new spots?